“Reliably, at any nighttime moment (i.e. non-business hours) in North America hundreds of computer technicians are effectively out of their bodies, locked in Life-or-Death space combat computer-projected onto cathode ray tube display screens, for hours at a time, ruining their eyes, numbing their fingers in frenzied mashing of control buttons, joyously slaying their friend and wasting their employers’ valuable computer time. Something basic is going on. 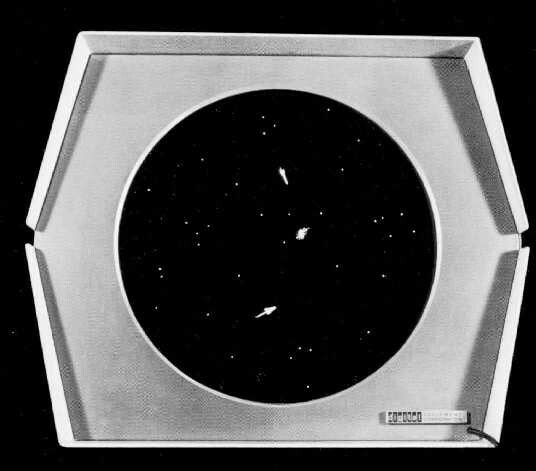 In “Spacewar,” Brand brought together two visions of personal computing and linked them in terms set by the New Communalist technological vision. The user-friendly, time-sharing vision of Xerox PARC and the politically empowering, information-community vision of Resource One were two sides of the same coin, Brand implied. Both groups, he suggested, were high-tech versions of the Merry Pranksters, and the computer itself was a new LSD. Drawing on the rhetorical tactics of cybernetics, Brand offered up Xerox PARC, Resource One, and the Merry Pranksters as prototypical elites for the techno-social future. He allowed each to claim some of the cultural legitimacy of the others: in his feature, Resource One appeared to be not a fringe group of ex-hippies but a central player in a new computer movement. Xerox PARC, while still a child of the military-industrial complex, took on the cool of the Pranksters. And the Pranksters and Brand himself, six years after the Trips Festival, demonstrated that they had survived the Summer of Love and should still be regarded as harbingers of social change. Even before minicomputers had become widely available, Stewart Brand had helped both their designers and their future users imagine them as “personal” technologies. While listening to the first Neofiles with R.U. Sirius Podcast’s interview with John Markoff, I learn about Steward Brands legendary article in Rolling Stone and did some research on the subject to do a video edit. The history was so deep and the information was so rich, that I had to expand it out into a blog. 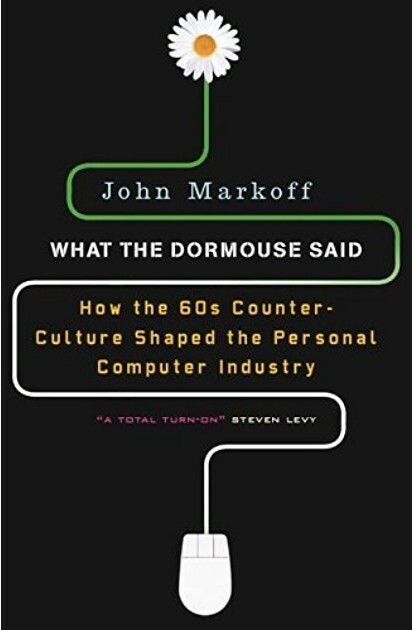 In “What the Dormouse Said”, New York Times reporter John Markoff locates the ground zero of personal computing in the San Francisco in the 1960’s. 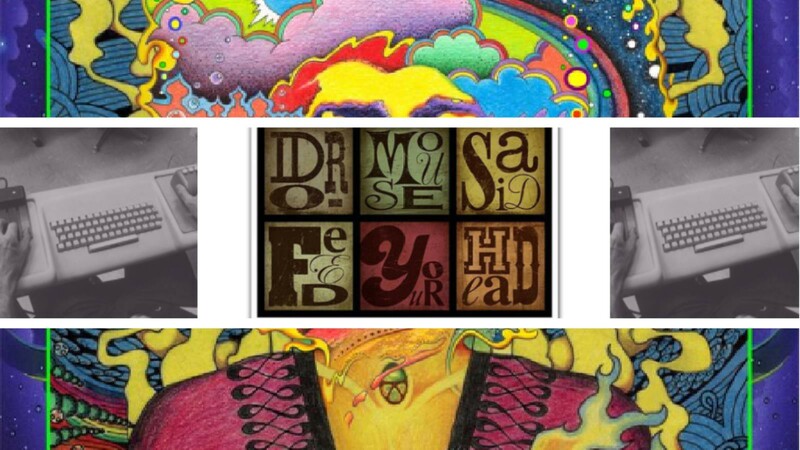 The book explores and expands the connection between the laying the groundwork for personal computing in California in the 1960s and the culture of psychedelic drugs, social experimentation, and political protest that provided the backdrop to that development. The Dormouse nicely links those two worlds. Where a group of visionaries set out to turn computers into a means for freeing minds and information. “Feed you head, feed you head” were the words the Dormouse said, in the Great Society/Jefferson Airplane acid-rock song “White Rabbit”. What the Dormouse said is the revisionary backstory of Silicon Valley; in particular, the roots of the current model of human interface with personal computers (video screen, keyboard, mouse) and early stabs at creating the Internet. He takes us back to the pre-ironic age — “the Flintstones era of computers” — when processing and beatniks still roamed the earth. There is much confused popular memory, over what the essence of the 1960s was, but in Markoff’s view, it was characterized by a bohemian sensibility that was open to experiments in alternative living arrangements, a disposition to anti-establishment politics (especially opposition to the military-industrial complex and its war in Vietnam), and a willingness to experiment with altered psychic states, especially through ingesting and inhaling certain substances. 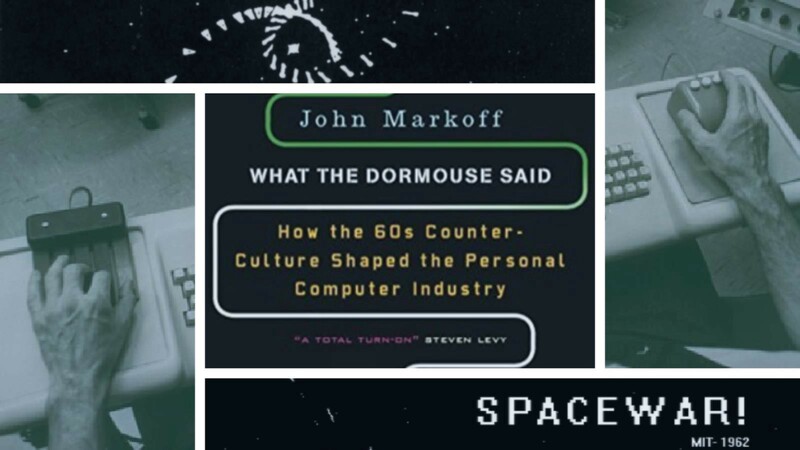 More fundamentally, in Markoff’s account of the period, what was shared by the hippies and the personal computing pioneers based in and around Stanford was a commitment to transforming the world and the nature of humanity in a fundamental way — bringing about a change that hadn’t come before. Markoff’s claim appear to be that the counter culture and the birth of the personal computer, did more than simply share physical affinity and some notable aesthetic parallels. As he documents in the book, many of the people who were at the forefront of changes in personal computing were not simply living and working in proximity to the counterculture. Rather, they were, at least in some cases, participants in it. Dormouse’s account of the contacts between LSD and Stanford-based computer scientists does not begin with the widespread and recreational use of that chemical in the late 1960s, but rather with the more systematic and controlled experimentation of the late 1950s and early 1960s, before acid was criminalized. As an example, he describes group LSD sessions by computer scientists at the Stanford Research Institute, where the participants dropped acid in an effort to see whether they might be able to invent something new while under its influence. From 1961 to 1965, the Bay Area-based International Foundation for Advanced Study led more than 350 people through acid trips for research purposes. Some of them were important pioneers in the development of computing, such as Doug Engelbart, the father of the computer mouse, then heading a project to use computers to augment the human mind at nearby SRI. Englebart and others nurtured a radically different vision of computers as a medium of information and communication and in their power to make individuals more productive. His idea, which he called “augmentation,” was really not about replacing the human in the loop but instead to use computing help to augment the human. I’m enough of a social scientist to know that claiming cause-and-effect relationships is a very risky business. Of course, I could point you to some precisely causal things. For example, if you want to look at where the personal computer industry got started, probably 20 companies or more came directly out of the Homebrew Computer Club in the mid 1970’s. And the counterculture connection is this: the Homebrew Club was co-founded by a young man, Fred Moore, who was a draft resister who was simply looking to find a way to get his own computer so that he could do organizing work. He felt that, if he had a database program, he would be more productive. So at least in that example the connection between the counter culture and the development of personal computer was directly cause-and-effect. Take the example of the Stanford commencement speech at Stanford recently given by Steve Jobs, in which he acknowledged the influence of the Whole Earth Catalog on his own thinking. And the Catalog also had a major influence on Alan Kay, another pioneer of personal computing. There was a time when Alan Kay walked into the Xerox PARC library and told the librarian to buy every single one of the books that were reviewed in the Whole Earth Catalog, because it so very influential. As the book recounts, Stewart Brand, founder of the Whole Earth Catalog, the Farmer’s Almanac of the counterculture, was an assistant to Engelbart at the remarkable event demonstrating the new vision. It also reveals the seminal influence of the activist Frederick Moore, who arguably sparked the anti-war movement with his 1959 protest at Berkeley of mandatory ROTC. In the mid-1970’s just before personal computers came to market Markoff tells us he became a principal in the People’s Computer Company, which pioneered store-front, drop-in computer access for the public. Fred Moore was an unusual character, and both he and Engelbart early on in life were struck by visions of how to change the world. Moore became a pacifist while he was in high school and stuck to his pacifism all the way through his life. He died in a car accident in 1997. And in 1950, Doug Engelbart had a vision of how to use computers to augment human intelligence, and he stayed absolutely passionate about that all the way through his career, and is still passionate about it now, even at age 81. In 1968 in San Francisco, Engelbart and his team gave a mind-blowing demonstration of their radical new vision. Sitting under a twenty-two-foot-high video screen, Engelbart was “dealing lightning with both hands,” according an eyewitness cited by Markoff. This “mother of all demos” included not only the public debut of the computer mouse and the modern word processor but also seamless collaboration via voice, video, graphics, and text over a network. We take for granted one-click access to eight billion pages of information via search engines like Google, but some of the capabilities Engelbart demonstrated, like the complete integration of video and the sharing of information at will are still part of the dream, not the reality. The creator of the modern vision of computing is Engelbart himself, who stands as a first among equals an engineer and visionary pursuing a dream of bootstrapping human capabilities and extending the power of human intelligence through technology. The counterculture’s emphasis on developing human potential resonated highly with this ideal, but as Markoff shows Engelbart’s lab was far from a “do your own thing” kind of place and Silicon Valley, which ultimately turned the Engelbart’s pioneering visions into reality, was birthed by the military industrial complex which funded its labs and the American inventor/tinkerer tradition out of which Thomas Edison, the Wright Brothers, and Henry Ford emerged. “What the Dormouse Said” is at its strongest in relating previously unrevealed stories of computing pioneers like Fred Moore. Also, Markoff is undeniably on to something. The phenomenon of the early 1960s exposure of Stanford’s hi-tech community to psychedelics has been touched on before in works dealing with the history of LSD in North America, but not in ways that sought to explore the downstream impacts on personal computing. I think that the period of the 60s was an unusual period in this country, and what is striking to me is how much today’s politics are still defined in opposition to or sympathy with the 60s. When I was on book tour and signing books a new employee walked up who had just joined Microsoft and told me he’d been a public affairs person for the Bush Administration, and that he was very pleased to get my book because it chronicled the ideas the shaped the President’s thinking — obviously in opposition. And most of the key figures in the administration — Bolton, Cheney, Bush — were all shaped in reaction to things that happened during the ’60s. So in that sense the 60s have continued to have a huge impact on the world. Reality is Open Source, Find the Others, Those Weird Fun Mutant People and Create the Weird.